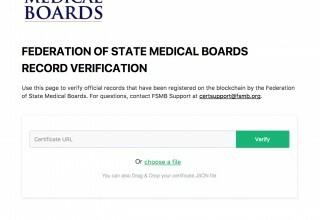 ENNIS, Texas, November 6, 2017	(Newswire.com) - ​​​​​​​The Federation of State Medical Boards (FSMB) has become the first professional membership organization to issue official documents to the blockchain. 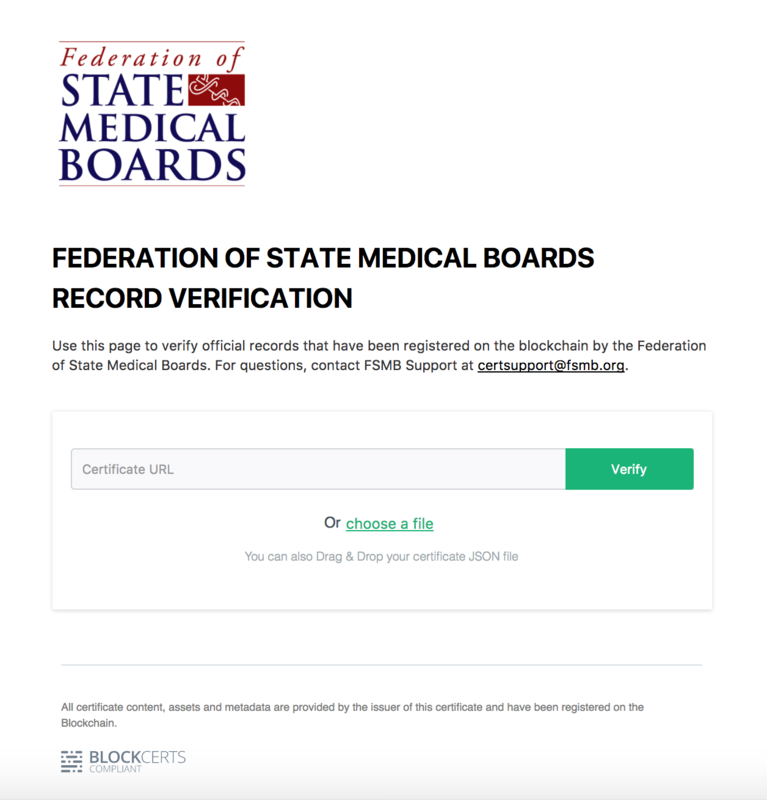 The FSMB issued sample verifications of undergraduate and graduate medical education credentials as part of a pilot of the Learning Machine blockchain records issuing system. "The FSMB is dedicated to supporting the work of its member state medical boards in their efforts to ensure that only qualified and capable physicians practice medicine," said Michael Dugan, Chief Information Officer at the FSMB. "Verification of medical education and related credentials is a critically important endeavor, and we are hopeful that the continued success of this pilot may provide the level of certainty needed to implement blockchain technologies in the medical licensing and credentialing process." Traditionally, verification of medical education has relied upon the maintenance of physician profiles by credential verification organizations such as the FSMB. These profiles are then shared with third parties, such as hospitals and state medical boards upon request, and are often maintained in a redundant manner. Anchoring official records such as degrees, transcripts, and verification forms to the blockchain allows physicians and other practitioners to maintain their own private profiles of medical competency, which they can share as they see fit. In short, blockchains combine fraud protection with individual custodianship of official records. 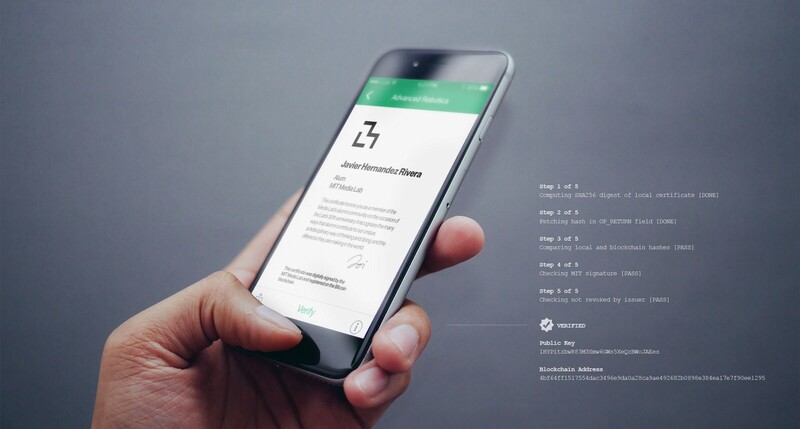 Physician ownership of their official qualifications is possible through the blockchain certificates open standard ("Blockcerts"). As a result of this standard, professionals can hold and share their records using a credential wallet, a free mobile app. The Blockcerts Wallet serves as a user-owned portfolio to which no vendor or issuing institution has access. Behind the scenes, it seamlessly manages the user's public and private blockchain addresses so that the process of owning one's digital assets is radically simplified. 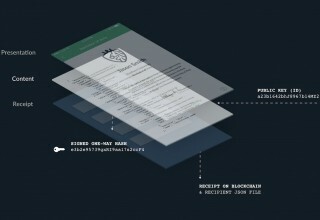 Any vendor or institution can build a Blockcerts-compatible wallet using the open standard. 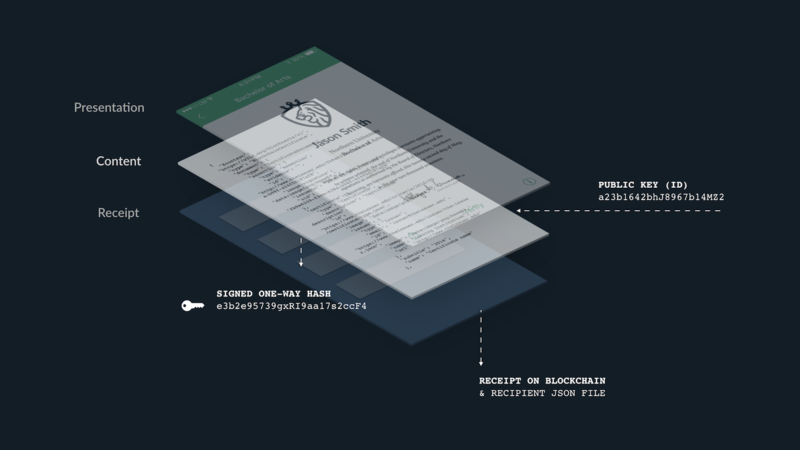 The open source Blockcerts Wallet is also available in the iOS and Android app stores. 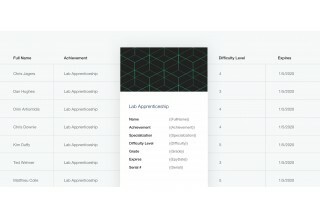 "Blockcerts was built to serve as a foundation for recipient ownership of digital assets," said Natalie Smolenski, VP of Business Development for Learning Machine. "That is the great promise of blockchain technology: now individuals can own their digital property without reliance upon trusted intermediaries to serve as custodians of that property. However, many blockchain-based applications still put vendors at the center, diluting that promise. Learning Machine is building a social infrastructure that will outlast any company or issuing institution. We are building for the long-term future." The Blockcerts standard provides vendor and issuer independence. Should any issuing institution or platform vendor issuing Blockcerts cease to operate, the recipient still owns their records and can share and verify them in perpetuity.